An indispensable guide to nonfiction writing from the Columbia Journalism School professor and Pulitzer Prize–winning journalist behind the bestsellers Blind Eye, Blood Sport, and Den of Thieves. 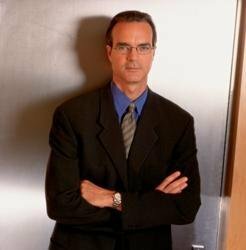 In Follow the Story, bestselling author and journalist James B. Stewart teaches you the techniques of compelling narrative writing, from nonfiction books to articles, feature stories, or memoirs. Stewart provides concrete directions for conceiving, reporting, structuring, and writing nonfiction—techniques that he has used in his own successful books and stories. 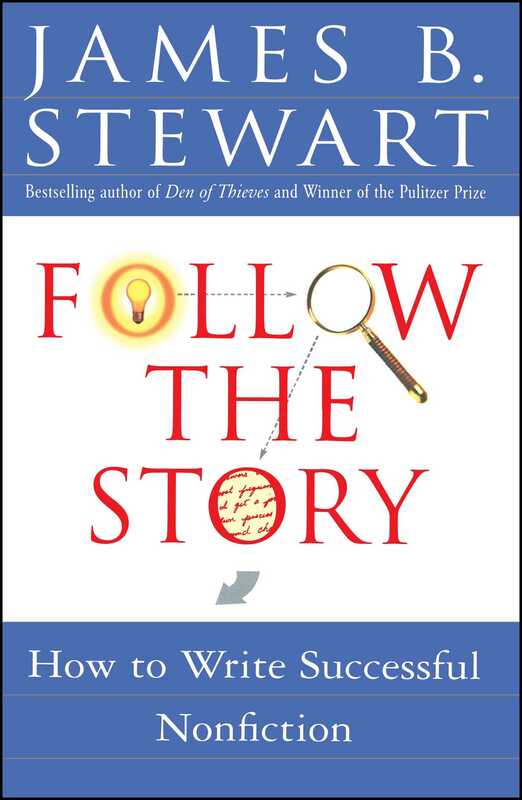 By using examples from his own work, Stewart illustrates systematically a way of thinking about and executing stories, a method that has helped numerous reporters and Columbia students become better writers. Learn from this book a clear way of looking at the world with the alert curiosity that is the first indispensable step toward good writing. We seem to be living in an age of know-it-alls: talk show hosts and guests, expert witnesses, pundits, gurus on every conceivable subject. The information age is exhausting. It is also dull, like a dinner party guest who never stops talking. In my view, this climate is anathema to good writing, which is rooted not in knowledge, but in curiosity. This may seem paradoxical, since one of the primary goals of nonfiction writing is to inform. But I strongly believe that good writing begins in the mind, long before pen touches paper, or fingers a keyboard. Writers must learn to think like writers. I find this is a point I need to stress over and over again with my students. For thinking like a writer turns out to be a very radical change from what most of us have been taught and conditioned to do over our entire lifetimes. At first it feels very uncomfortable. In some ways it reminds me of learning to speak a foreign language. Conversation in the language requires intense concentration. It's such a relief to lapse back into English, which flows effortlessly in the mind and over the tongue. But as the grammar and vocabulary of the new language become familiar, conversation becomes easier. If one is immersed in a foreign culture for long enough, speaking its language becomes almost second nature. For most people, thinking like a writer is not nearly so difficult as learning a foreign language, but it requires effort, concentration, and discipline. It's a relief to revert to our usual patterns of thought. Over time, thinking like a writer becomes almost unconscious. In a few cases I've seen it all but transform someone's personality. For a desirable side effect of thinking like a writer is that it makes you more interesting to others. It enhances one's appreciation of life. The essence of thinking like a writer is the recognition that what's most interesting is what's unknown, not what is known. Thinking like a writer prizes the question more than the answer. It celebrates paradox, mystery, and uncertainty, recognizing that all of them contain the seeds of a potential story. At first encounter, it is probably hard to recognize how radical a notion this is. But consider: in ways large and small, subtle and unsubtle, overt and hidden, we are rewarded from childhood on for providing answers to questions posed by others. We are taught to process information by memorizing and retaining it, not by questioning it. Confronted daily by a mass of new information. we rarely stop to consider what is missing. So many people seem to spend their lives in the inevitably futile quest for certainty. Often this takes the form of religion, which for many provides solace in the face of the unknown and the unknowable. But what may be entirely appropriate in the spiritual realm too often spills over into every other aspect of life. Patients expect certainty from their doctors; clients demand clear-cut answers from their lawyers; and voters want solutions from their politicians, however intractable the problems and farfetched the proposed remedies. While managers may pay lip service to the notion that they welcome criticism and questions from their employees, the reality seems to be that they prize flattery and a parroting back of their own ideas. The more powerful they are, the more insulated they seem by yes-people. Questioners, by and large, are viewed as dissidents, heretics, and malcontents. It seems that the more we are confronted by change, the more we cling to the status quo. No wonder the unanswered question prompts such a visceral reaction. Some people seem to panic, others suffer anxiety attacks, and most people feel uncomfortable. To varying degrees, all of us react this way. But instead of repressing or fleeing from such feelings, writers need to embrace them and explore their causes. They are important clues. All of them can be harnessed by the writer to make people want to read his or her work. For the fundamental paradox of the unknown is that even as most people flee from it in their own lives, they are fascinated by it. Even though people spend much of their time reading things that do nothing but reinforce what they already know and believe, curiosity remains irrepressible in the human spirit. In my view, curiosity is the great quality that binds writers to readers. Curiosity. sends writers on their quests, and curiosity is what makes readers read the stories that result. These days, when there is increasing competition for people's time, writers cannot count on anyone to read their work out of a sense of obligation, moral duty, or abstract dedication to "being informed." They will not read because someone else deems a subject to be important. They will read because they want to, and they will want to because they are curious. While editing the front page of the Journal -- a newspaper with as educated, affluent, and sophisticated a readership as any writer could hope for -- I had to confront and accept the fact that the average reader isn't interested in much of anything outside his immediate self-interest. This is, of course, an exaggeration. Any given individual is interested in something; some people are interested in many things. But the odds that someone shares those interests with anyone else, let alone with all of the two million people who subscribed to the Journal seem quite remote. The Journal conducted periodic reader surveys to determine what, in fact, people said they were interested in. A large portion, something in the neighborhood of 70 percent, indicated an interest in national macroeconomic data and trends, which isn't surprising given the makeup of the Journal's readership. The next-highest-ranking topic, but garnering less than 50 percent interest, was local business news, obviously of interest only to those in the same locality. Nothing else -- not national political news, foreign news, legal affairs, religion, or editorial opinion -- registered even a one-third interest level. And in surveys that revealed what Journal readers actually read, it was clear that when these broad topics were reduced to specific stories -- say, oil production in Libya -- there was no measurable interest at all. I never had the heart to tell some reporters that these surveys suggested that no one had read their published stories. There are, of course, prominent exceptions to this general level of lack of interest. During one week when such a survey was conducted, the front page ran an obituary of Sam Walton, the legendary billionaire founder of Wal-Mart Stores. As I recall, that story attracted an astoundingly high 80 percent readership, even though there was nothing particularly surprising or newsworthy in it. But during that same week in 1991, a group of dissident Communists attempted a coup in the Soviet Union, kidnapping Mikhail Gorbachev and trying to reinstate the repressive militaristic regime that had so long threatened the West. I couldn't imagine a much more dramatic or important story. The characters -- Gorbachev, a heroic Boris Yeltsin, the vodkasaturated dissidents -- were great; the action and intrigue was out of a Le Carré novel; and the day-to-day suspense was intense. Our Moscow correspondent, Peter Gumbel, handed in the best work of his career, and the front-page staff worked night after night to perfect it. As I recall, the largest readership achieved by any of those stories was a meager 36 percent. These results were of less concern to the paper as a whole than they were to me as the front-page editor. On any given day, there was a broad enough range of news that something in the paper appealed to just about everyone in the Journal's constituency. But the front page carried only three stories a day, stories that received dramatic display, took up a lot of space, and demanded a far greater commitment of time from readers. On average, only about 17 percent of the readers were reading these stories in their entirety, which meant that 83 percent were not interested enough to bother. Although these same studies showed a high level of satisfaction with the front page -- a sign that sooner or later readers found something that interested them -- I thought we could do much better. For from the point of view of the reporter and writer, who might write only a handful of front-page stories in the course of a year, I found the surveys dismaying. I myself didn't want to write a story that would be read by only 17 percent of the paper's readers. When thinking about potential stories, I began to focus on what I estimated to be the 90 percent of readers who were not interested in the proposed subject. Indeed, I consciously tried to ignore my own particular interests, finding that I was far more effective if I could act as a surrogate for readers who weren't interested. After all, I wasn't worried about losing the readers who were interested in a given subject, but in attracting those who weren't. This exercise didn't prove necessary for those stories of obvious universal appeal to Journal readers, such as Walton's death. (At general-interest publications, the phenomenon is similarly seen with respect to topics that excite national hysteria, such as Princess Diana's death, the O. J. Simpson triM, and the Clinton-Lewinsky scandal -- topics that are often, and mercifully, ignored by the Journal.) But universally fascinating stories are few and far between. And they are hardly a boon for most writers. I have found nothing more daunting, in my own experience, than trying to compete with a national press corps in full hue and cry. In this process, I tried to pay close attention to what I read, noting particularly those stories on subjects I hadn't realized I was interested in. I talked to others, as well, about what they read and why. I found the exercise so revealing that I have tried ever since to pay close attention not only to what I read but why. I also consider what I skip, and try to analyze that as well. Indeed, I have found these exercises to be an essential part of learning to think like a writer. Take a week or so and keep a record of what you read and what you skipped over. Look with particular care at stories you read that covered topics in which you are not inherently interested. Try to analyze why. What conclusions can be drawn? While the answer is usually implicit rather than explicit, the stories I read are rooted in questions rather than answers. News itself is a response to the question "What happened?" I rarely read a news story if that question has already been answered, usually by the previous evening's television broadcasts or, increasingly, on a Web site on the Internet. It used to be that the question "What happened yesterday?" was enough to sustain readers' curiosity, but now the question is more often "What happened today?" or "What happened during the past hour?" This doesn't mean that the traditional written news story is obsolete. Some stories are sufficiently important and dramatic that I read news stories to answer questions like "What did the Times's (or Journal's) reporter find out about this topic that I don't already know?" or "How are they interpreting this information?" But it seems increasingly clear that news stories are an endangered species. It's not surprising that the readership and circulation of major mainstream newspapers and magazines are in decline. By contrast, magazines have long relied on feature stories, as has the Journal's front page, to provide a reading experience that can't be duplicated elsewhere. The so-called news magazines -- Time, Newsweek, U.S. News &amp; World Report -- long ago turned into feature publications. Other major newspapers, such as The New York Times, the Los Angeles Times, and The Washington Post, are running more and more feature stories on their front pages, even though they retain a traditional news format. Such stories are often labeled "news analysis" or are set off visually by boxes or special column heads. The classic inverted-pyramid news story -- the "who, what, where, when, why" that editors could cut from the bottom -- is what passed for writing at most newspapers. It became a habit with many reporters, who rarely gave a second thought to the subject of writing. Unfortunately, they are now ill prepared for what is happening in print media. The irony is that feature stories and books are now routinely breaking news, so much so that magazines like The New Yorker issue press releases for many of their stories, as do all major publishers for many of their nonfiction books. When writing germinates as an unanswered question, the likelihood that the attempt to answer the question will generate news is quite high. In part this is because, in the vast majority, of cases, if you already know something, so do many other people; hence, your knowledge will seem stale. By contrast, if you discover something, it is bound to be fresh. This can be true even with respect to events that happened some time in the past. The attention span of many writers and journalists strikes me as far too short. They abandon a story long before all the important questions have been answered. This is especially true of the networks and daily papers, which have the opportunity, by virtue of their frequent broadcasts or publications, to scoop just about anybody. Yet that very ability, and the rush of daily events, often lead them to move on too quickly, leaving a tremendous amount of news to be broken by magazines and books, which have lead times of months, even years. The stories I read with interest manage to convey their questions with greater specificity, even if those questions were implicit in the headline. For example, about two weeks after the crash of an Italian cable car, The New York Times ran the following headline: "Death in the Alps: How Wayward U.S. Pilot Killed 20 on Ski Lift." Even apart from sounding like a mystery starring Hercule Poirot ("Death in the Alps"), this piqued my curiosity. I found myself reading the entire story. The headline could as easily have been stated with a question mark as without one. I had read the original news report with moderate interest: a ski lift car had crashed, killing twenty people, because an American military plane had clipped the cable suspending the car. On the scale of international disasters it wasn't particularly large, but it had an American angle. Was I naturally interested in an Italian ski slope calamity? Not really. But even though it appeared more than a week after the accident, and hence wasn't "news" in any traditional sense, the follow-up feature was far more interesting, because the event was now presented as a mystery: Why was the U.S. plane flying in the vicinity of a cable car? Why was it flying so low? Why didn't the pilots see the cable car? Who was responsible? All this was information missing from the news report I had read a week or so earlier. I read the story because I was very curious to know the answers. The main "news" contained in this story was that the pilots were using standardized American military maps that didn't include the cable car, whereas Italian maps did. Imagine if the headline had been "U.S. Pilots Used Maps That Omitted Cable Car." Put aside the question of whether the maps had anything to do with the accident (the story was unconvincing on this point); thanks to this headline, my interest in that story nose-dives. The explanation -- the "answer" to the questions that had so intrigued me -- turned out to be rather banal. Yet I read the entire story, thus demonstrating that the question is often more interesting than the answer. Disasters, in particular, seem to lend themselves to this approach, often because disasters spawn mysteries. Bill Carley, a reporter at the Journal, has built a distinguished career by writing principally about air crashes. I'm not particularly interested in air crashes, but he always manages to pique my interest. A recent headline of his read, "Crash of Executive Jet Leaves Trail of Clues but Very Few Answers." what could be more mysterious? My interest is aroused even though the headline suggests the mystery won't be solved. Compare my reaction to a front-page story that ran in The Wall Street Journal the same day as the cable car story. "Difficult Times Drive India's Cotton Farmers to Desperate Actions/Some Have Killed Themselves as Pests Ravage Fields and Banks Seek Payback." I didn't read it. Am I inherently interested in Indian cotton farmers? No. But am I any less interested in Indian farmers than Italian skiers? Not really. And for all I know, these "difficult times" in India have killed far more people than perished in the Italian accident. Yet nothing about this story stirs my curiosity. "Difficult times for farmers" is as old a story as the weather. While I may have been briefly curious to know just what these "desperate actions" turned out to be, the headline answered my question: some people are committing suicide. In fact, the headline pretty much does tell the whole story. So why would anyone want to read more? I often warn my students that if they can tell their story in a headline, that's about how long the story should be. More fundamentally. I wonder what prompted the reporter to undertake this story in the first place. In other words, what didn't he know before he started working on it that he subsequently learned? My suspicion is that the writer already knew virtually everything in the story before he began thinking of it as a story, an approach that is often fatal to reader interest. What's sad is that I've been told by some people who read this story that it was a fine piece of writing and reporting. Obviously the headline didn't discourage those readers inherently interested in the plight of India's cotton farmers, though I assume the number of such readers is rather small. If the story was a good one. there should have been a way to prompt reader curiosity in the headline, not extinguish it. By contrast, a front-page story in the next day's Journal carried the headline "Ignoring All Problems, Most People in Business Glow with Optimism." The mood among businesspeople is a staple of economic statistics and reporting, while surveys suggest this is an intrinsically interesting subject for Journal readers, to a general audience it is about as dull as they come. Am I interested in the mood among businesspeople? No. Does this story promise any of the life-and-death drama of a cable car crash or suicides by Indian farmers? No. Was I interested in reading the story? Yes. why? Consider if the headline had simply been "Most People in Business Glow with Optimism." That's mildly interesting, but it tells me all I want to know. It's only when I read the contrasting phrase "Ignoring All Problems" that my curiosity is aroused, what are these problems? How could businesspeople be "glowing" if they're experiencing such problems? What's the explanation for such a seeming paradox? I suspect that similar questions motivated the writer of this story. Confronted with routinely reported events and statistics that seemed contradictory -- in this case, trouble in Asia, Iraq, and Washington on the one hand, yet buoyant business confidence on the other -- he asked how that could be. As is so often the case, the story itself didn't really answer the question it posed. It explored possible explanations -- that businesspeople are simply irrational these days; that people tend to have short memories; that business confidence depends more on a healthy job market than on international incidents -- all or none of which may explain the paradox. Indeed, if there were a simple and easy answer, it isn't clear that the topic would warrant a story of several thousand words. But the point, again, is that this story began with a critical way of thinking: the writer looked at some economic statistics not for what they told him, but for what they didn't. The story couldn't have been triggered by what he already knew, for the answer to the question he posed ultimately proved elusive. The broad conclusion I have drawn is that we read for one reason: curiosity. And curiosity is stimulated by questions. This is true of news articles, of self-help and "how-to" articles, of longer feature stories, of books, even of fiction. To think like a writer is to learn to be always curious, to react to any event with one or more questions. This may sound simple, even obvious, yet I have found that for most people, it is a very foreign way of viewing the world. It requires constant vigilance, an alert mind, considerable energy, and a willingness to live with, even to embrace, uncertainty. I have made the point that learning to think like a writer, by focusing on the unknown, the uncertain, the unusual, the curious, the paradoxical, all of which spawn questions before they provide any answers, enhances many aspects of one's life beyond writing. This occurred to me recently while watching CNN's coverage of the "town meeting" staged by the Clinton administration to explain its policy toward Iraq, which at the time was frustrating UN efforts to monitor its production of weapons. Top administration officials, including Secretary of State Madeleine Albright and Secretary of Defense William Cohen, were plainly unprepared for the barrage of skeptical questions they received from a cross section of Americans. How does the United States know that Iraq possesses deadly biological weapons? What threat do these weapons, if they exist, actually pose to the United States and other countries? How likely is it that American military action can actually eliminate such weapons? And even if a military strike does succeed, how will Iraq's compliance be monitored in the future? These were good questions, even obvious ones, yet I was struck by how little press coverage of the Iraq crisis had addressed them, and how any one of them could itself be the basis for a good story. (Indeed, William J. Broad and Judith Miller of The New York Times did publish such a story, not long after the town meeting.) I was also dismayed at top officials' inability to provide thorough answers, which led me to wonder how much they had been focusing on what military intelligence purported to know, and how little on what remained unanswered. James B. Stewart is the author of Heart of a Soldier, the bestselling Blind Eye and Blood Sport, and the blockbuster Den of Thieves. A former Page-One editor at The Wall Street Journal, Stewart won a Pulitzer Prize in 1988 for his reporting on the stock market crash and insider trading. He is a regular contributor to SmartMoney and The New Yorker. He lives in New York. James Stewart is the journalist every journalist would like to be.